Welcome to my site. 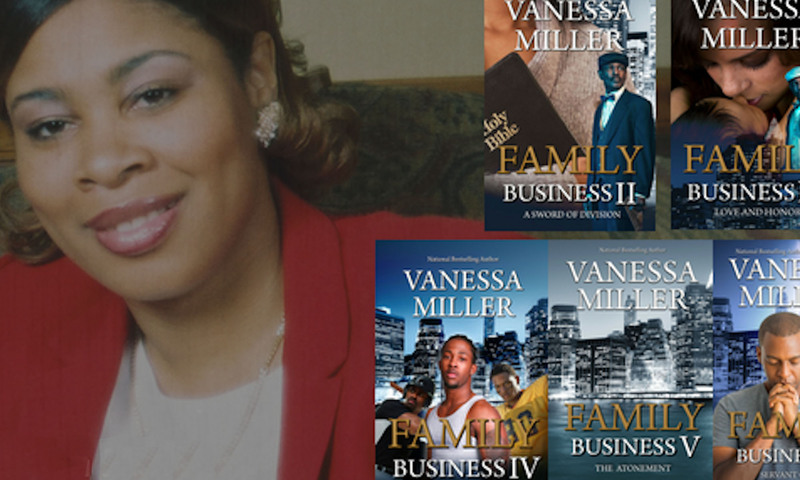 I am Vanessa Miller, the author of more than 50 Christian fiction titles. I’d like to thank my readers for all the encouraging emails and telephone calls that I have received over the years. The books that I write are designed to touch the hearts and souls of my readers – so thank you for letting me know that I am doing my job! 4th Annual Literary Cafe’ Hosted by: Charlotte Alumnae Delta Chapter February 23, 2019 (11am-2pm) Delta Center – 5408 Beatties Ford Rd. The sixth and final book in the Family Business series brings the Shepherd family and the Walker family from the Rain series together as they struggle to do the work of the Lord in this evil and confused world they now live in. Dam Shepherd is a full grown man, married to the love of his life, with a baby on the way. Life is good… until he tries to step into the ministry God has for him. As one obstacle after another takes Dam’s focus off of his God given assignment, he must decide whether he will do the will of man or the will of God. Isaac Walker Jr. had a hard time dealing with the death of his parents. His father had always been such a force in his life, that he didn’t know how to move forward in ministry without him. Faced with losing his wife if he didn’t make changes, Isaac realizes that life must go on… and the ministry his father started had to continue as well. What Dam and Isaac don’t know is that their ministry will usher in the end of times. If they fail to complete the mission God has for them then many souls will be lost. Can Dam and Isaac fight their way through and endure until the end? She has worked with numerous publishers: Urban Christian, Kimani Romance, Abingdon Press and Whitaker House. She is currently working on the Family Business Series.